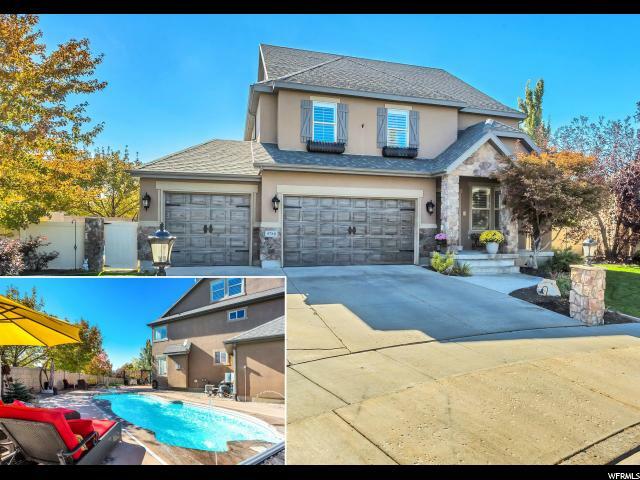 Relax in your very own backyard Oasis with a low maintenance and gorgeous Swimming POOL in a highly sought after area of Sandy! The fiberglass (non porous) salt water pool with an electric solar (for heating) cover is easy and very affordable to maintain. Fiber optic - coloring changing pool lights, fountains and jets are sure to impress. Brushed and stamped concrete surround the pool as well. Low voltage landscape lighting and even a built in drinking fountain. 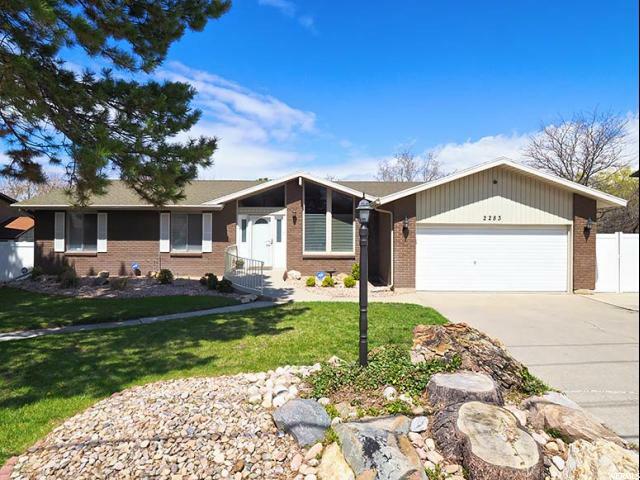 This original owner and meticulously well cared for home is at the end of a quiet cul-de-sac with a 3 car garage on a 1/4 acre lot with pristine landscaping and backyard remote controlled water feature with beautiful curbing and details. New carpet and paint throughout! Beautiful solid hard wood flooring and plantation shutters, gourmet kitchen with granite counters, gas range and kitchen-aid appliances, formal living room, 3 family rooms (1 in a 3rd story loft) and 9 ft. basement ceilings. 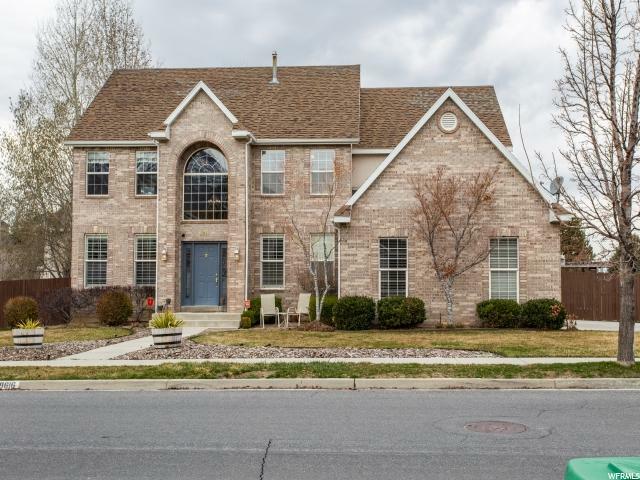 Huge Master Suite with vaulted ceiling, large bathroom with water closet, dual granite vanities, soaking jetted tub and shower and a large walk in closet. Whole home intercom, Christmas light eve plug with timer and more. This home has it all! 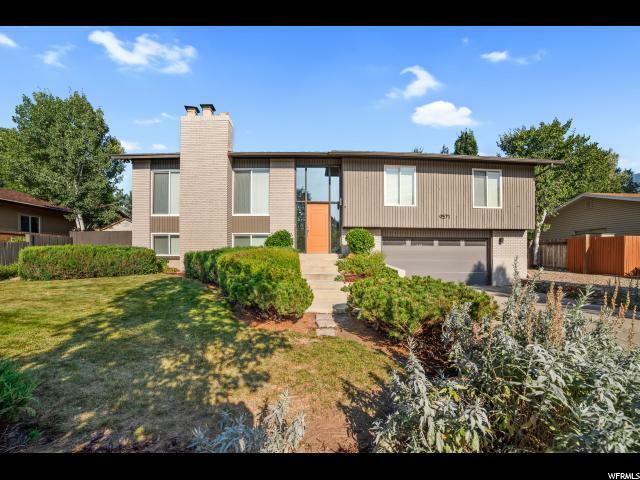 Close to shopping, hiking trails, canyons, Alta Canyon recreation center, library and top rated schools such as Waterford, Grace Lutheran and Blessed Sacrament among others. Don't miss out!